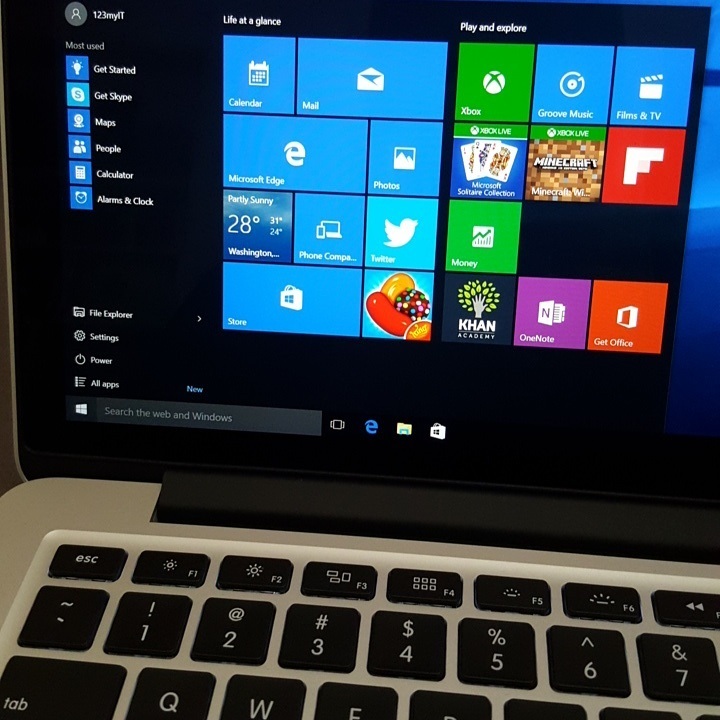 This video will show you how to install Windows 10 on MacBook Pro 2015. Well here it is guys, the video you guys have all been waiting for. I have had quite a few people ask me about installing Windows 10 on MacBook Pro 2015 and 2014 models and have been a bit slow to get this video out as the hardware is not cheap as you all can imagine. So if the above video helps you out, please help 123myIT out by clicking on the donate button on the left hand side of the page. All donations will help purchasing new hardware. Some of you will be upset to know that I didn’t get any errors when going through the video. To be honest I kind of expected maybe 1 or 2 problems. But the setup went very smoothly. Even the Boot Camp drivers at the end of the video applied correctly. You will need 2 things to complete the setup. In the Windows 10 on MacBook Pro 2015 video I link to another video called Windows 10 Media Creation Tool. This will help you get the Windows 8 or 10 ISO file which allows you to then create the USB which you use to install Windows 8 or 10. I was able to get a copy of the Boot Camp Drivers from the WININSTALL USB that I can confirm work with Windows 10. I have labelled it Windows 10 64-bit Captured by 123myIT.com BCD and you will find under the MacBook Pro page here. All up the install took about 1.5 hours, with the downloading of the boot camp drivers seeming to take forever. The file being around 1.2GB in size meaning if you are on a slow internet connection it could take hours for just that part to complete. So be prepared to wait. Want to know more about Windows 10? Click here for the Official Microsoft website.